I am very fussy with shampoo and conditioner, as I like gentle formulas and I can't use anything too heavy on my fine hair. 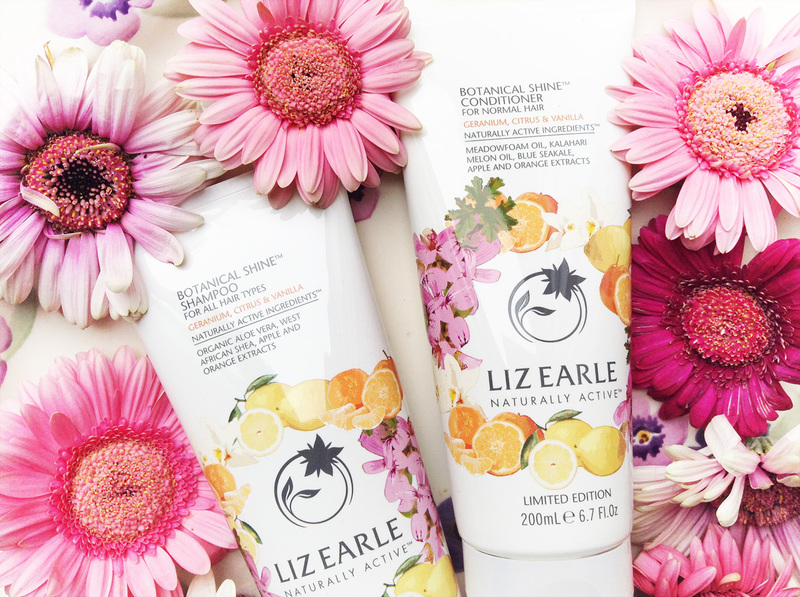 I have always liked the Liz Earle hair care line, but this limited edition duo, scented with Geranium, Citrus and Vanilla is simply out of this world! 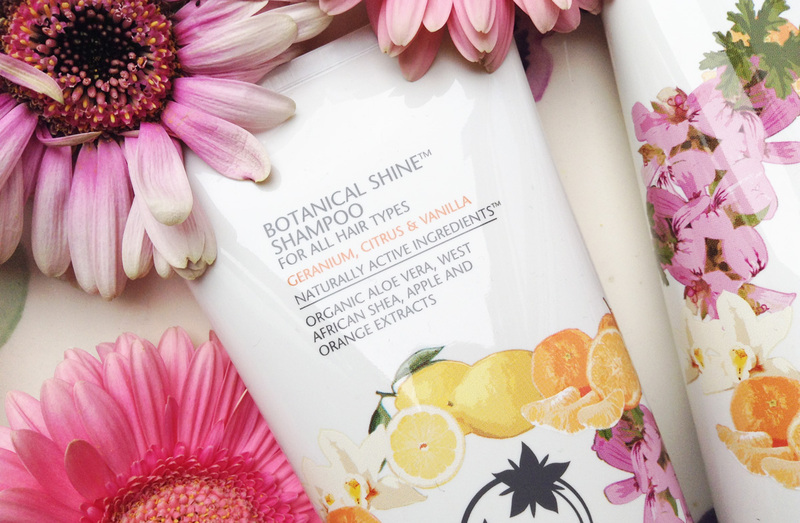 The Botanical Shine shampoo* is sulphate-free which is very important to me to make sure my scalp doesn't flake. I can't use anything with SLS, as it gives me the worst dandruff and an itchy scalp. Ouch! The formula lathers nicely and gently cleanses without stripping the scalp of it's natural oils, but it leaves my hair clean, fresh and smooth. I use a really small amount, focusing on the roots, as that's where my hair gets oily the most, give it a good rinse and I am done. If I used some dry shampoo or hairspray in my hair that week, I tend to shampoo twice, but as this formula is super gentle, it doesn't affect my scalp or hair. 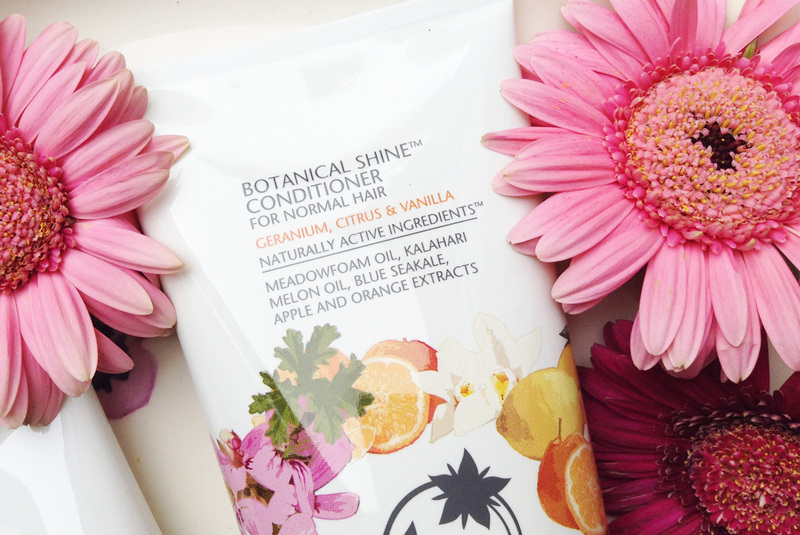 I then follow with the Botanical Shine Conditioner* for normal hair. It is a silicone-free formula so you know your hair actually gets some nourishment, instead of fake stuff creating a silicone coating. The conditioner leaves my hair soft and silky, without weighing it down. I absolutely love it. Again, I use a small amount, as too much conditioner for fine hair is a big no, no! I really want to try the version for fine hair though. I am not sure if this limited edition scent is still available, but the regular Liz Earle shampoo and conditioners for all hair types/normal hair are the same, but with a slightly different scent. I adore both, but I secretly hope this scent comes back soon! http://uk.lizearle.com at £12.00 for 200ml.